Home prices have jumped to levels last seen just before the 2008 meltdown. Home sales and prices continued to climb in May, raising the prospect of a new housing bubble unless there is a significant increase in home building. "The home price growth is too fast, and only additional supply from new homebuilding can moderate future price growth," said Lawrence Yun, the chief economist for the National Association of Realtors. He said there needs to be a 50% increase in home building. The median home price jumped 8% from the previous month to $208,000, according to NAR. While month-to-month price swings are not unusual, the year-over-year rise is now 15%, and prices are at levels last seen in the summer of 2008, just before the bursting of the housing bubble. May marked the 15th straight month of annual price increases, the first time that happened since May 2006. Home prices have been driven higher partly by a drop in foreclosures. Only 18% of home sales in the month were so-called distressed sales, which typically sell at a discount to market prices. A year ago 25% of sales were distressed sales. 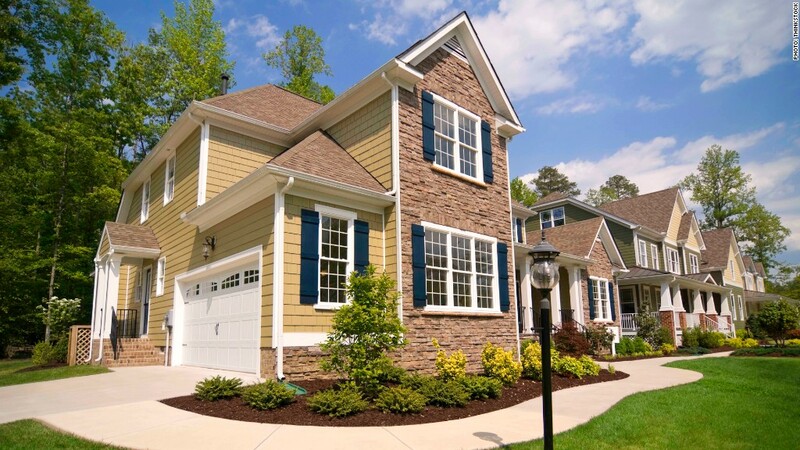 Overall sales rose 4% from April and 13% from a year earlier to an annual rate of 5.18 million homes in the month. There are differences between this run-up in prices and the housing bubble that preceded the financial crisis, said Gary Thomas, the Realtors' president. "The boom period was marked by easy credit and overbuilding, but today we have tight mortgage credit and widespread shortages of homes for sale," he said. The improved housing market and mortgage rates still near record lows, despite a recent rise in rates, is pulling buyers back in the market faster than it's prompting sellers to put homes on the market. Buyer traffic 29% above a year ago, but the supply of homes for sale is actually down 10%. That's caused homes to sell much more quickly -- only 41 days on the market on average in May, about a month faster than a year ago, with nearly half the homes being sold in less than a month. The warnings about prices rising too fast were a stark change from the Realtors' position during the heyday of the housing bubble, when the statement from officials generally cheered the steady rise in prices.